I did something different, I picked one photo per month for every of the year 2014, starting in february. I have to say for some months I debated on which one was my favorite. This exercice showed me something, I love black and white photo more than I though. It will be my blog tomorrow. Very cool exercise! I can’t wait to read it. 🙂 Feel free to post a link here so people can find it. Love this idea. I may try to do this. I’ll share if I do! 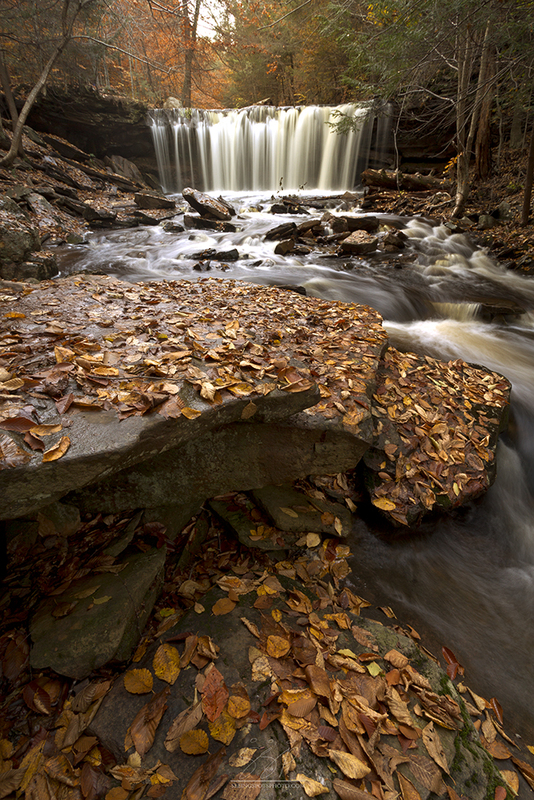 I’m hoping to make it back to these falls this next year to get some winter shots. Although not a big set of falls, I like how they are multi-tiered and that they are not straight across like most traditional falls. I always love shooting waterfalls and hope to shoot more in the coming years. I love them!! Great photo, Justin. 🙂 Where are those located? I also put together a list of my top 50 photos for the year since it’s so hard to narrow it down when there’s so many.